BROOKLYN, Iowa (WHO) -- The Division of Criminal Investigation is expected to give an update on Tuesday regarding the search and investigation of a missing University of Iowa student. 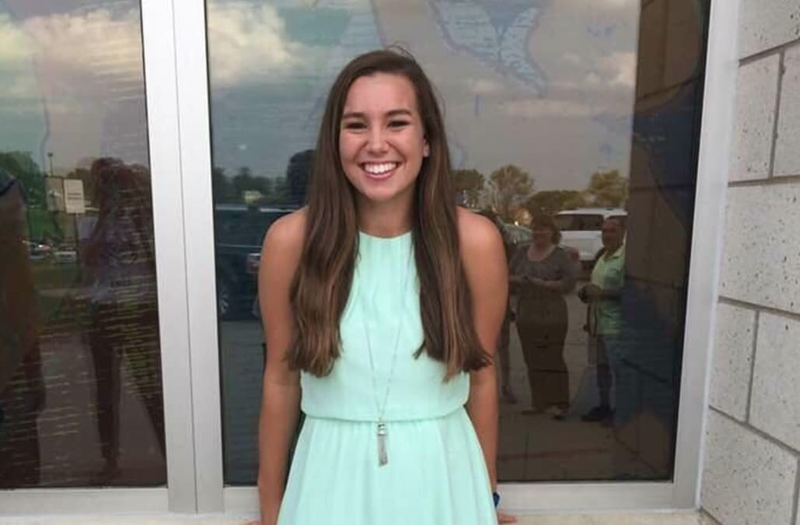 Mollie Tibbetts disappeared 12 days ago, on July 18th. She was last seen jogging in her hometown of Brooklyn, which has a population of 1,400. Since her disappearance, investigators have followed up on hundreds of tips and conducted just as many interviews. All their leads to this point have turned up empty. Tibbetts' family says they have received little information from investigators, but are still not losing hope. The girl's father, Rob Tibbetts, tells Channel 13, "This is not about our emotions. We can have them later. We are going to fight and we are going to fight for Mollie." Rob, who lives in California, last saw his daughter about six weeks ago at his wedding. He arrived in Iowa a few days after she was reported missing to begin the search with family members. His fight to find his only daughter centers around getting the word out about her disappearance. Flyers with Mollie's name and picture can be found throughout Iowa and into neighboring states. Rob prays people don't become numb to hearing Mollie's name. "She's a real person. She's just not a face on a poster. She's our daughter, she's our sister, she's our friend. We just want her home," he says. A $2,000 reward is being offered for anyone with information about Mollie that leads to her discovery or an arrest. The Poweshiek County Sheriff's Office is asking anyone with information to call 641-623-5679. The 20-year-old's family believes it's someone within the town of Brooklyn who could give information that could crack the case. "People have to have the courage. Somebody in this community saw something." The girl's younger brother, Scott, says while the family waits for answers they are choosing not to focus on a possible worst-case scenario. "I think the best way we've been able to keep a positive mentality is the fact that we all know Mollie. We all know what kind of person she is and how smart she is and how much of fighter she is." The press conference regarding the case will be held at the Poweshiek County Sheriff's Office on Tuesday at 1:30 p.m.